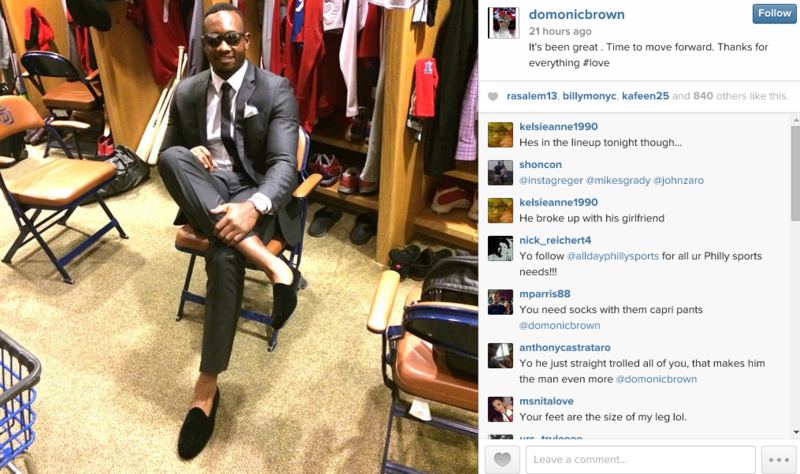 Domonic Brown decided to announce on Instagram that he was breaking up with his girlfriend. However, his cryptic language convinced a lot of baseball fans that he had been traded from the Philadelphia Phillies. “It’s been great . Time to move forward. Thanks for everything #loveFollow,” read Brown’s message. Of course mid-September would be an odd time to deal a player. Even one who chose to burn eyes everywhere with his shiny ankles. Perhaps Phillies fans believed Brown had been dealt because there have been a lot of articles suggesting the team’s front office was fed up with Brown — a former top prospect who’s had exactly one good month in his four year MLB career. 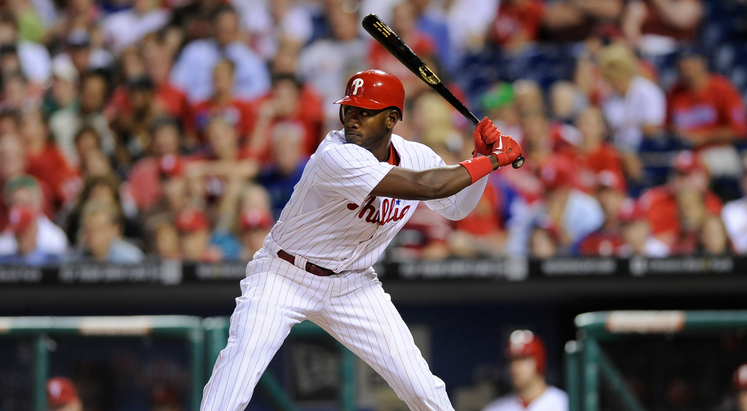 Between Brown and Ryan Howard, the Phillies have lost 2.3 WAR in 2014, despite first base and left field being the too easiest big league position to fill. So maybe a Brown trade was wishful thinking on the part of the Phillies faithful. Any social media hint that Howard, and the $60 million left on his contract had somehow been dealt, will surely whip them into hysterics.